Girl Effect and Vodafone Foundation have joined forces to empower 7 million girls across eight countries through mobile, in a partnership that aims to generate $25m over 5 years, with a $5m contribution from the Vodafone Foundation. 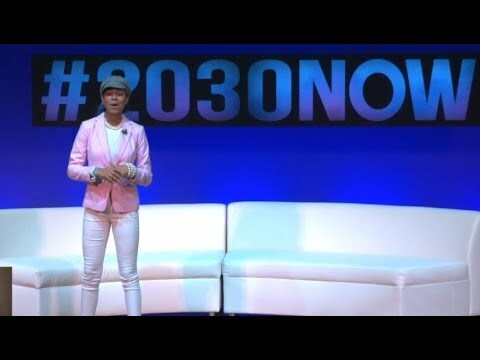 The partnership officially launched at New York’s Social Good Summit with landmark research and a keynote speech from 16-year-old filmmaker and girl education advocate Zuriel Oduwole. Sharing her own first-hand experience of how technology and mobile have empowered her, Zuriel highlighted how girls around the world deserve the same opportunities as boys. She then invited those present to consider how they too can help improve life for girls through mobile. Over the next five years, the partnership between Girl Effect and Vodafone Foundation will serve girls in eight countries across Africa and Asia. As well as supporting the development of a dedicated youth empowerment brands in both Tanzania and India, the partnership will support the growth of Girl Effect’s global mobile platform, Springster, making it available without data charges in every country that Vodafone operates in Africa. The programme will also support the launch of a series of innovations and new features on Springster, including a chatbot and IVR services. Partnerships will also be created with service providers on the ground, so girls can be connected to support services directly through mobile. Zuriel Oduwole talks about girls' access to mobile at Mashable Social Good Summit in New York. The partnership activity will also address some of the social norms surrounding girls and mobile, which have been revealed through the world’s first global study of adolescent girls and mobile: Real girls, real lives, connected. The research, informed by the voices of more than 3,000 young people across 25 countries, was previewed at Social Good Summit and will be released in full on 11th October, coinciding with International Day of the Girl. Constant, robust monitoring and evaluation throughout the partnership will add to the growing body of evidence and insight around how girls are using mobile phones, and how digital interventions can drive behaviour change. Sign up to receive the full Real girls, real lives, connected study. Follow the conversations on Twitter on #girlsandmobile.